M.C. 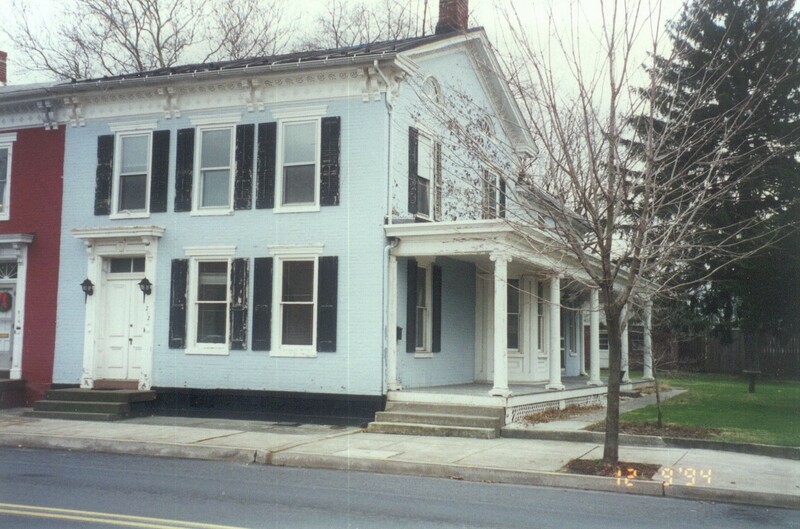 Walker has been in business since 1977 and has represented and sold many beautiful historic homes in and around Mechanicsburg, Pennsylvania. Look back in time at some of the impressive homes that have been offered for sale in Mechanicsburg. 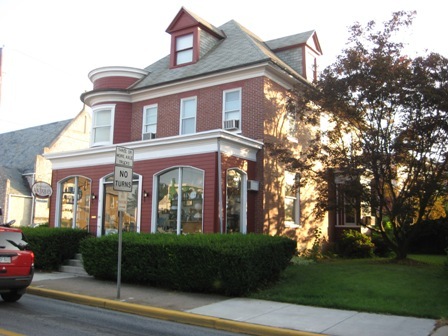 In the heart of historic Mechanicsburg is an inviting hometown family run realty office and professional staff that is ready to help you with all your real estate needs. 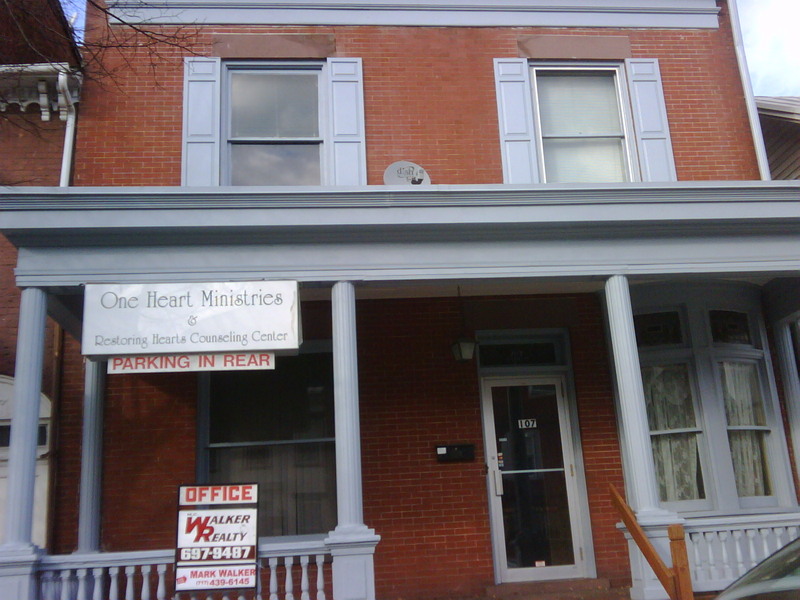 Located by the railroad tracks on Walnut Street M.C. 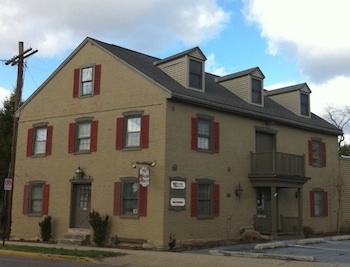 Walker Realty is located in the 1852 historic L. M. and George Hummel coal building. You will find a warm and friendly atmosphere when you call or visit M. C. Walker Realty - stop by just to say hello! Very well maintained large 2 story Victorian with original hardwood floors, high ceilings, nice woodwork, extra large wrap around front porch, four large bay windows. Currently being used as a 4 unit apartment building. Wouldn't this be a gem converted back to a single family Victorian? 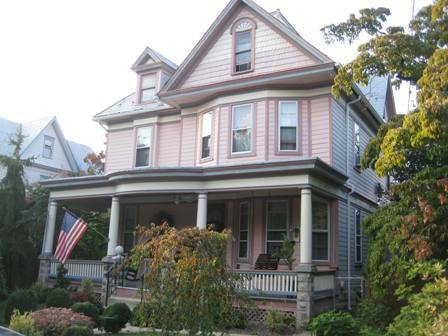 This is a gorgeous 1900 three story Victorian single family home with a Cape May feel to it which boasts high ceilings, original woodwork throughout, hardwood floors, 4 bedrooms, 1.5 baths, laundry room, formal living room, family room, formal dining room, eat-in kitchen and 3rd floor recreation room. The front porch welcomes you into a quiet warm retreat with the southern sun shining upon you while you relax on the porch swing and the mature well maintained landscape offers a wide variety to fascinate the mind as well as a nice mature coy pond! 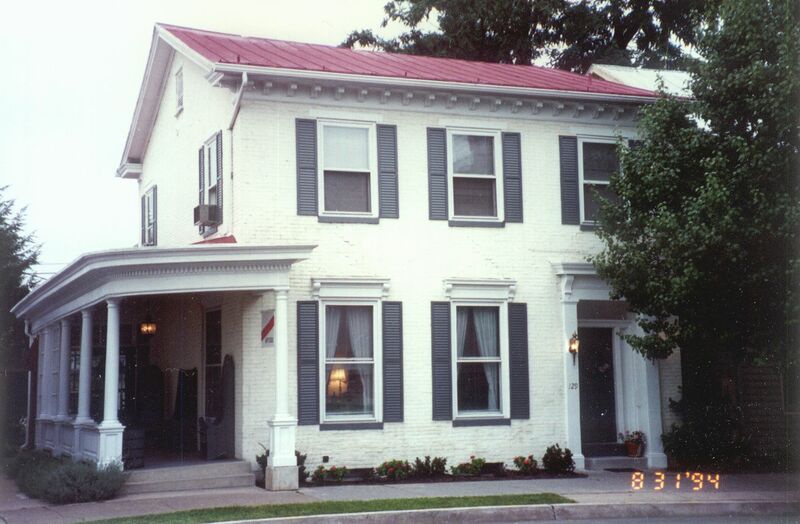 The Adam Orris residence is architecturally significant as one of the finest examples of the Second Empire style of architecture in the small community of Mechanicsburg. 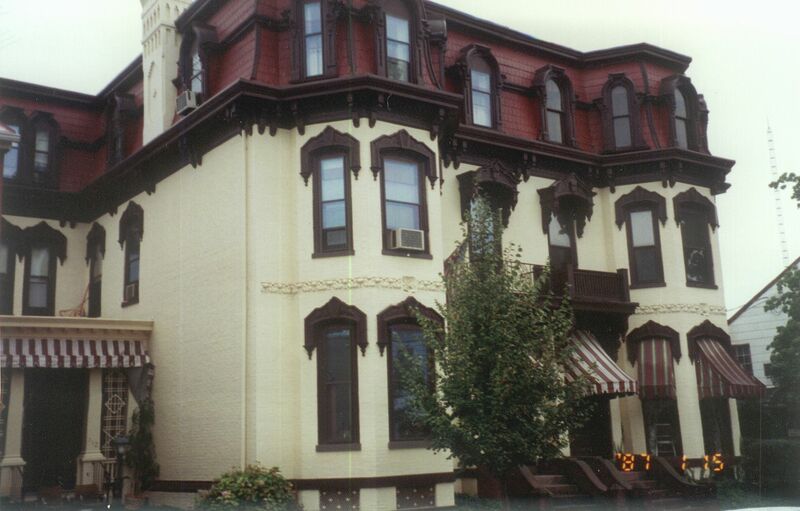 Built in 1886 by Adam Orris, one of the borough's leading businessmen, the residence is one of two identical mansions built by Orris and his business partner, Austin G. Eberly, at the residential end of the community's main thoroughfare and promenade, Main Street. 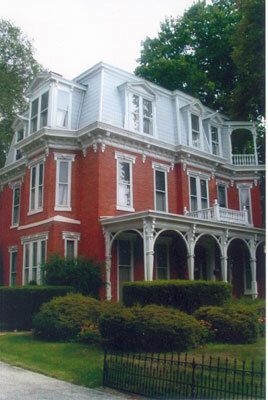 The Orris residence is one of only a few Second Empire style buildings located in Mechanicsburg. 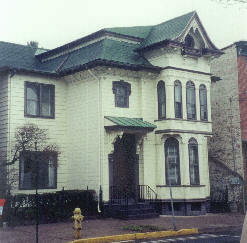 This brick 2 story Victorian home/retail shop was built at the turn of the century. Special features include magnificent oak pillars on the first floor and a wonderful tower with a wrap around wood window seat on the second floor. Lots of wonderful little features not scene in many other properties. The attic has high vaulted ceilings and would be a wonderful work area for a craftsperson. This solid brick 3 story commercial/apartment traditional colonial style square foot home was built at the turn of the century. When you walk into the foyer area, there is a 2 story impressive staircase as well as stained glass windows which are very appealing to the eye! 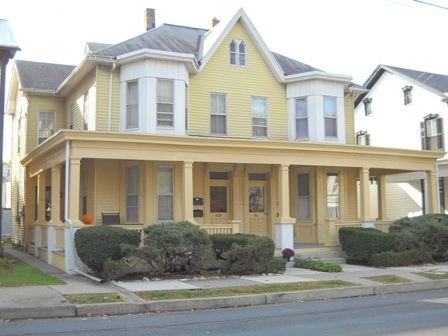 This large property features a very "Mechanicsburg'ish" style front porch, perfect to watch the crowd on Jubilee Day. The first floor has a 1 very large (or 2 good sized) office space along with ample off street parking spaces in the rear of the property! The 2nd and 3rd floors feature living space! 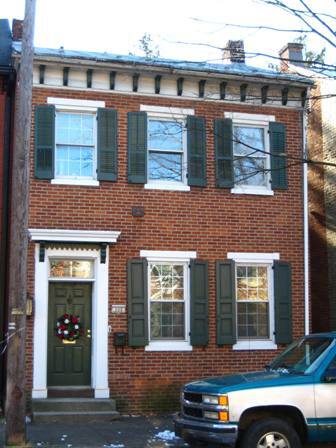 This solid brick 2 story 3 bedroom 2.5 bath traditional colonial style 2176 square foot home was built in the early 1800s. This restored home now features a magnificent open entry with a walnut flooring that flows into the elegant dining room. The front living room is large with 9 foot ceilings and deep window sills, the remodeled kitchen now has tile floor, beautiful cabinets and updated appliances. This home was constructed in the Victorian "Italian Villa" period, and was erected in 1879 by a local cabinet maker and furniture merchant. The intricate cherry wood trim on the inside has remained intact and is a work of art. The charm of this borough home is evident both inside and out. The cozy side porch leads to a brick patio and covered breakfast nook overlooking a beautifully landscaped back yard. Built-in bookcases, hardwood floors and french doors welcome you at the main entrance. This Main Street home showcases vaulted ceilings with an Italian marble fireplace in the living room. Hardwood floors, decorative molding and a cozy loft with exposed brick make this one of Mechanicsburg's finest. This beautiful Victorian double home was built in 1883 to be a mirror image of itself. Although the interior has been altered, the exterior remains virtually unchanged.